Amirov Azamat Zhanbulatovich was born May 19, 1983 in Karaganda. In 2000 he graduated from high school number 3 named Ivan Krylov. 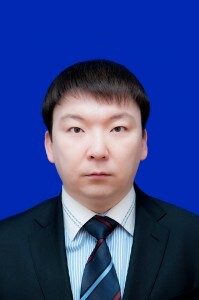 In 2005, he graduated from Karaganda State Technical University, “Computer Information Processing and Management” and was immediately offered a job at the university. Also in 2005, he enrolled in the magistracy in “Computer Science and Software” and ended it in 2007 with honors. In 2007 he enrolled in the Ph.D doctoral Eurasian National University named after Gumilev, Astana. In 2010, under the guidance of renowned scientist in the field of automation and control of Doctor of Technical Sciences, Professor Bisenbi Mamyrbek Aukebaevich, Amirov was defended thesis for the degree of Doctor of Ph.D in specialty 05.13.00 – “Computer science, computer facilities and management”. Amirov actively participates in competitions Ministry of Education and Science of the Republic of Kazakhstan, the Committee on Science Ministry of Education and Science of the Republic of Kazakhstan, the National Agency for Technological Development, resulting in 2013 won a grant for a total of 30 million tenge. Author of more than 50 scientific and educational works, including 5 manuals and 1 certificate of state registration of the object of copyright. Amirov actively in the learning process uses information and communication technologies. Conducts classes for undergraduate and graduate programs. During his time at KSTU developed and are up to date UMKDP, RUP and syllabus for all subjects taught. Информационные системы в финансах и бизнесе : Электронный учебник. . – Караганда: КарГТУ, 2006.